Over the Easter holidays the weather has definitely been good to us and as a result we have started making some progress on our garden makeover, which admittedly was meant to happen two years ago, but better late than never. The original plans have changed a bit and we have now decided to dig up some of the raised patio bit and extend the grass and as the kids are getting older we are going to replace the trampoline with a nice seating area. 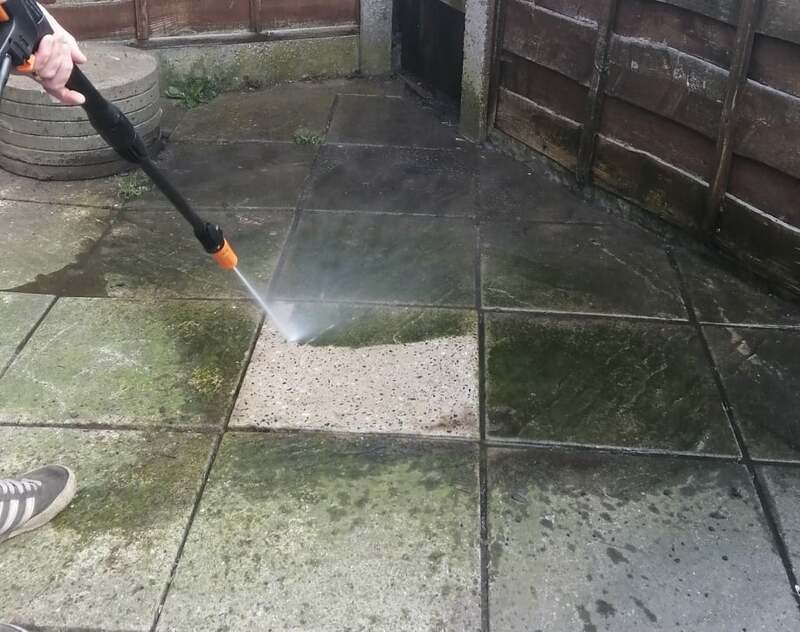 So you can imagine my delight when we were asked if we wanted to put the VonHaus pressure washer to the test, as those paving slabs that have been hidden under the trampoline for 6 years are in desperate need of a deep clean if they are going to be on display this summer. I also appreciate how ridiculously sad this makes me sound but hey ho I am now in my thirties and things like pressure washers, hoovers and fresh bedding really do excite me. 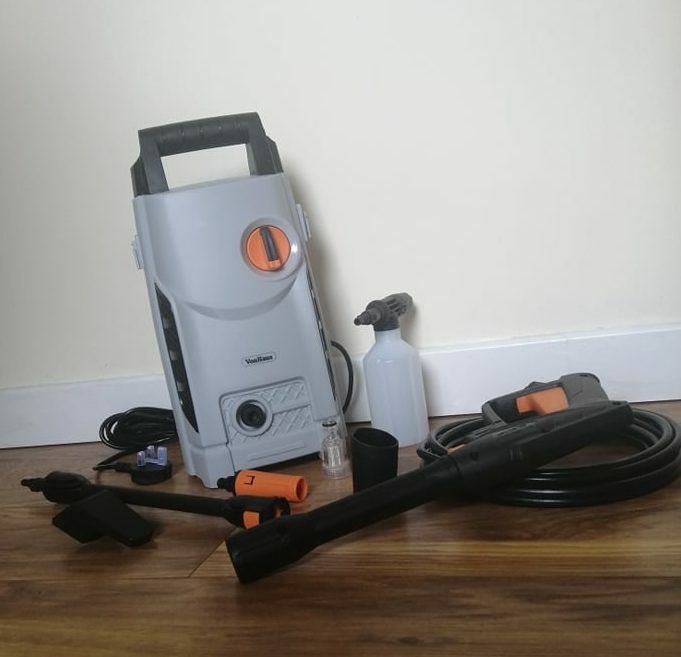 The VonHaus pressure washer arrives in 9 pieces which was a bit daunting but it literally pieces together in minutes and as long as you already have a hose pipe then you are good to go. Once assembled it is really easy to use, and the thing I liked best about it is that it is light weight at only 5.8kg meaning it doesn’t need to be a “blue job” because I can easily manover it around the garden and get that instant gratification that comes from seeing the quick results of blasting the dirt from the patio, driveway, brick work and even the cars. I also love the fact it has a fully adjustable nozzle so that we can change the pressure of the water using a more gentle flow for the cars and a more forceful one on the brick work. The VonHaus arrived at precisely the right time for us as and we have already used it numerous times and have no doubt that we will be getting loads of use out of it as we continue with the garden makeover in the run up to summer. It has made the cleaning so much easier than if we had tried to just use the hose pipe and a brush! The 1600W VonHaus pressure washer is available for £54.99 and comes highly recommended by us. This looks so good we love our pressure washer for our back garden and washing the car.